Thank you to everyone who provided testimonials at the beginning of the year. These have now been added to the website & can be viewed here. As of 12/4/10, all walks will be of 1 hour duration i.e. I will no longer be offering 30 minute walks. This is because the overwhelming majority of my clients request 1 hour walks so fitting 30 minute walks into my schedule is becoming increasingly difficult. The rate for 1 hour walks will remain unchanged i.e. £10 for the first dog, £5 for each additional dog from a given household. NB with two exceptions these are all weekend dates so will not affect the majority of clients. In addition to the above dates I also plan to take a week’s holiday at some point over the Summer. I will be sure to give you at least a month’s notice of when this will be. Remember, you can always check my calendar if you are unsure of my availability. Brrr… Let The Dogs Out has survived our first Winter! However, we have moved a little to the North. After moving house at the beginning of the year, I am no longer based in Pathhead but in Blackford in the South of Edinburgh. Sadly this has meant saying goodbye to some lovely clients who I am no longer able to reach, but on a positive note it has allowed me to welcome some great new dogs into my ‘pack’! Let The Dogs Out has been up & running for 3 months now & I’m pleased to say that the service seems to be a success! I am currently walking dogs of all shapes & sizes from Pathhead, Dalkeith & Roslin in Midlothian, Cockenzie, Wallyford, Pencaitland, Prestonpans & Haddington in East Lothian, & Colinton in Edinburgh. My feet are well travelled & glad to get a rest at the end of each day, but I’m loving every minute of it! Clients should note that there are some small changes planned to the existing service. These are outlined below & available to view in a pdf document here. the rate I charge for 30 minutes walking time will increase from £5 to £7. the rate for 1 hour walking time will remain the same at £10. the charges for any additional dogs being walked from the same household also remain the same, at £3 per dog for 30 minutes walking time & £5 per dog for 1 hour walking time. These changes reflect my experience since starting business in June that petrol & travel time costs work out the same for both 30 minute & 1 hour walks. dogs who are due to be walked for 30 minutes may occasionally be walked for the longer time of 1 hour. This will be at no additional charge to the client. Please indicate if you do not wish your dog to be walked for longer than you have requested for whatever reason. dogs due to be walked around midday may be walked within a window of 11am – 2pm, as this is, naturally, my busiest time of day. Again, please indicate if there is a reason why your dog cannot be walked within this more flexible time frame. Now that the summer (ha!) is coming to an end, walks are bound to become wetter & muddier. I would appreciate if clients could leave out a designated towel to use for drying their dog(s). Although I always carry some towels in the car, they are bound to become soggy pretty quickly on a wet day! I will always try & give you at least 1 month notice of any dates on which I am unable to walk your dog(s). At present the only dates I am aware of between now & Christmas when this is the case are Friday 18th September & Saturday 31st October. Please do not hesitate to contact me if you have any concerns regarding the above changes. 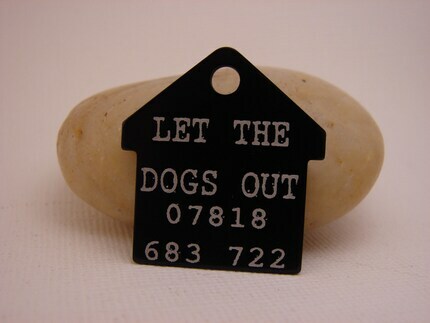 Let The Dogs out will be present at the Dogs Allowed Show in Lauder this Saturday. Along with my partner & dogs, I’ll be handing out free homemade dog treats, & will be available to answer any questions you have about the service. The event is being held in the grounds of Thirlestane Castle, & is open from 10am till 4pm on both Saturday 13th & Sunday 14th June. It looks set to be a great day for all dogs & their owners!